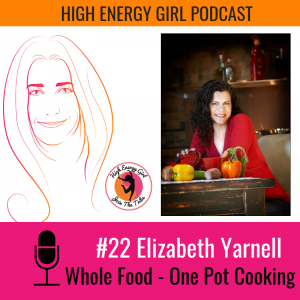 High Energy Girl Podcast Interview on Helping Women Age Stronger - Elizabeth Yarnell, naturopathic doctor specializing in food sensitivities (MRT, CLT), health, diet and nutrition speaker. Listen in on this fun conversation about helping women age stronger between myself and Registered Dietician Tracee Gluhaich on her “High Energy Girl” podcast! Tracee and I talk a lot about the benefits of eating whole food-based diets as well as how food sensitivities can cause inflammation, which can be the hidden cause of many symptoms. Don’t miss this illuminating episode! You may find some surprising information about the effects of inflammation on our bodies.